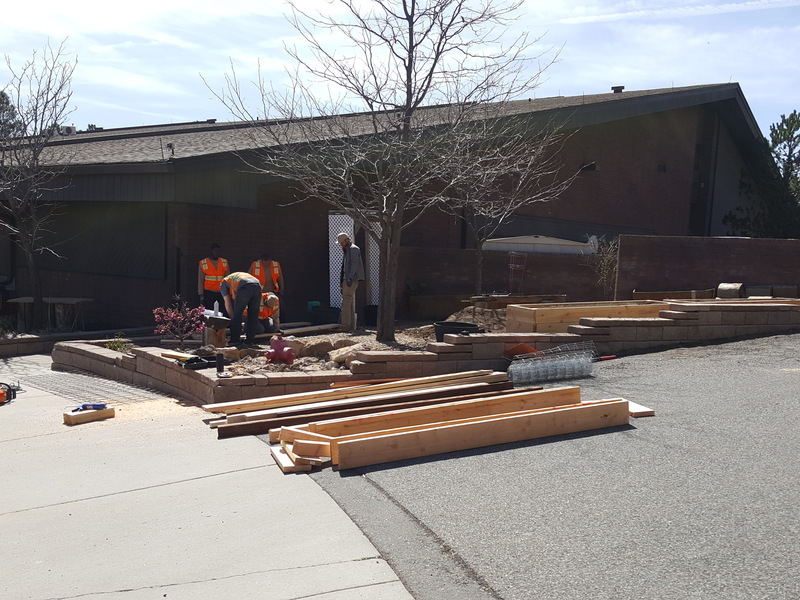 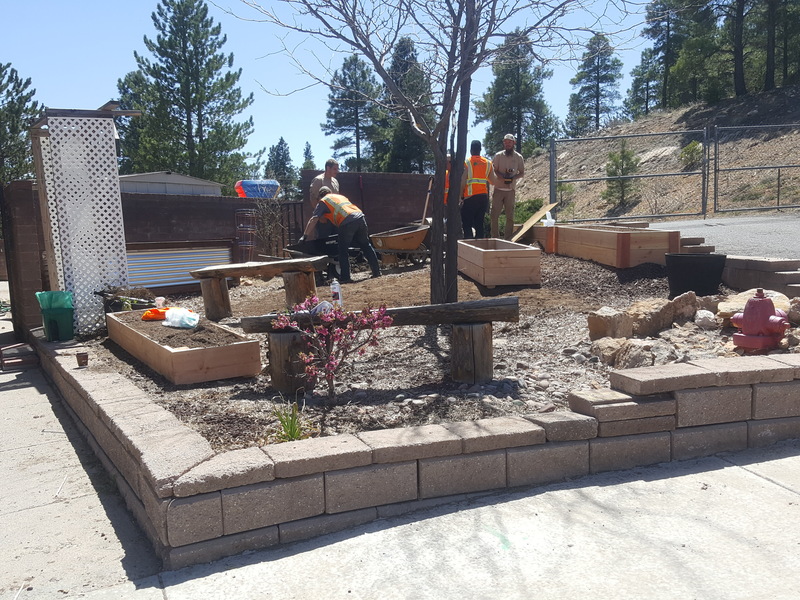 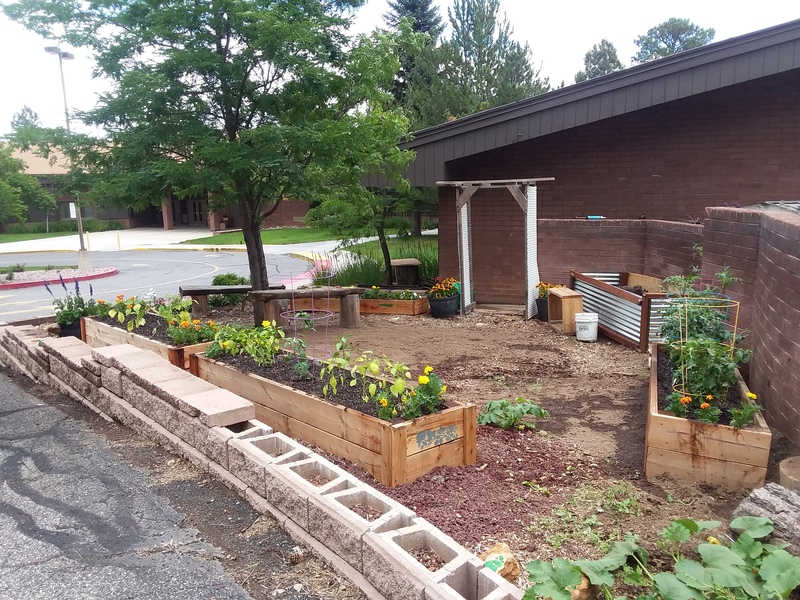 In spring of 2017, the master gardener grant program awarded funds to re-vamp a neglected garden space at Knoles elementary school. 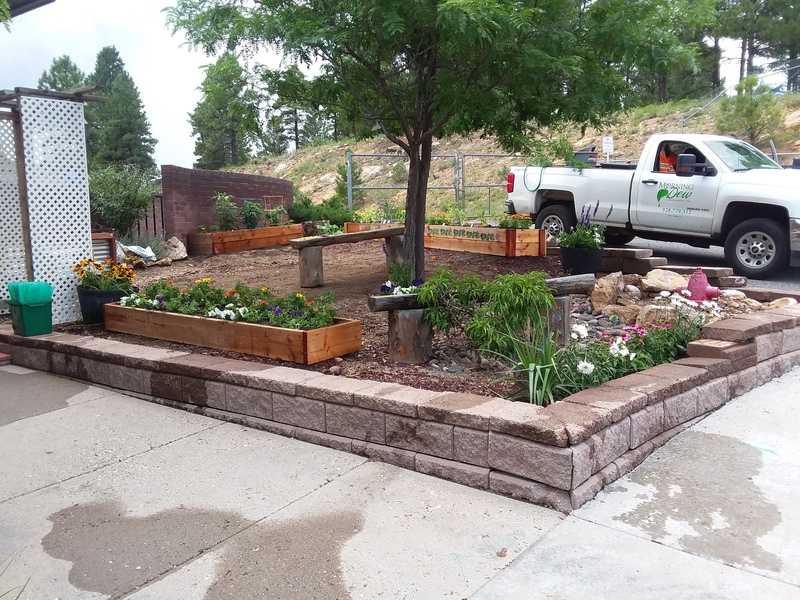 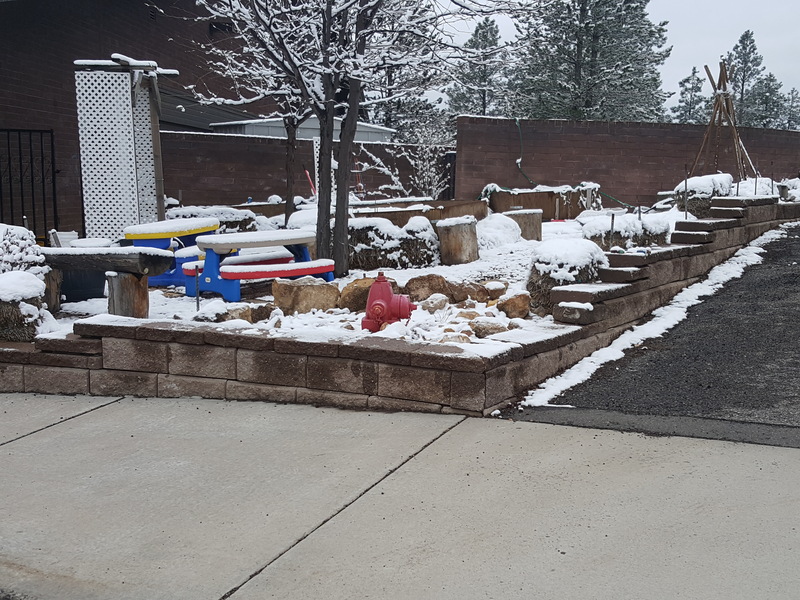 Several employees at Morning Dew Landscaping who have completed the master gardener program volunteered their time to work and complete this project. 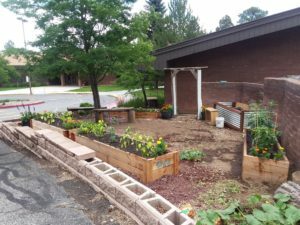 The project was coordinated through Kathleen Malkhassian, a 4th grade teacher at Knoles. 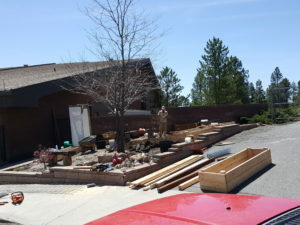 The condition of the garden at the time had several safety hazards, was unkempt and cluttered. The space is at the front of the school and had high visibility. 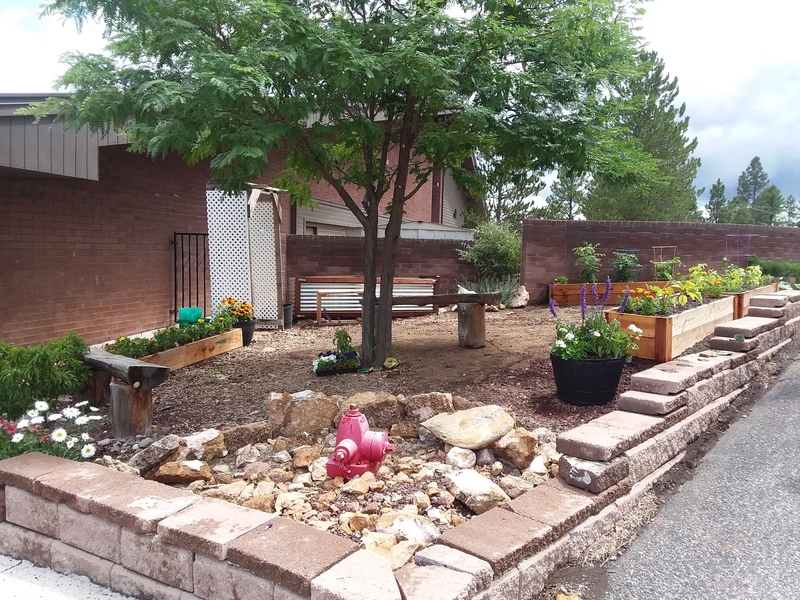 Our objectives where to beautify the area, create a peaceful and safe area for reading and play time, introduce children and adults to the art of gardening, incorporate annuals and perennials to demonstrate symbiotic relationships, and build multiple raised beds. The first weekend was spent removing safety hazards and hauling off all unusable debris. The second weekend involved leveling of the area and building multiple garden beds. 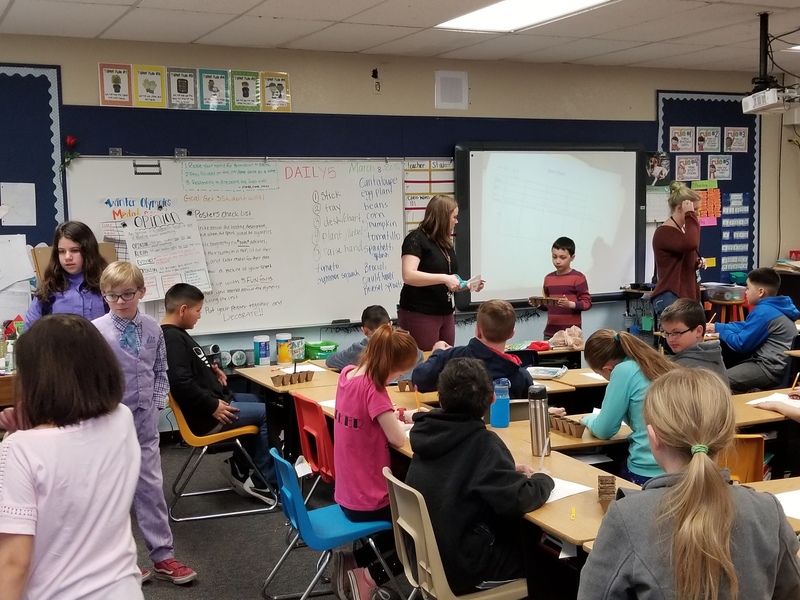 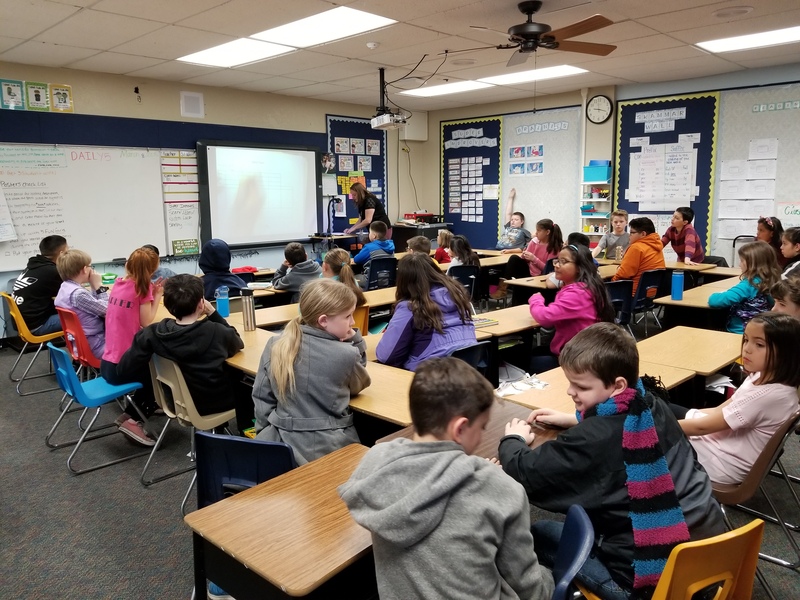 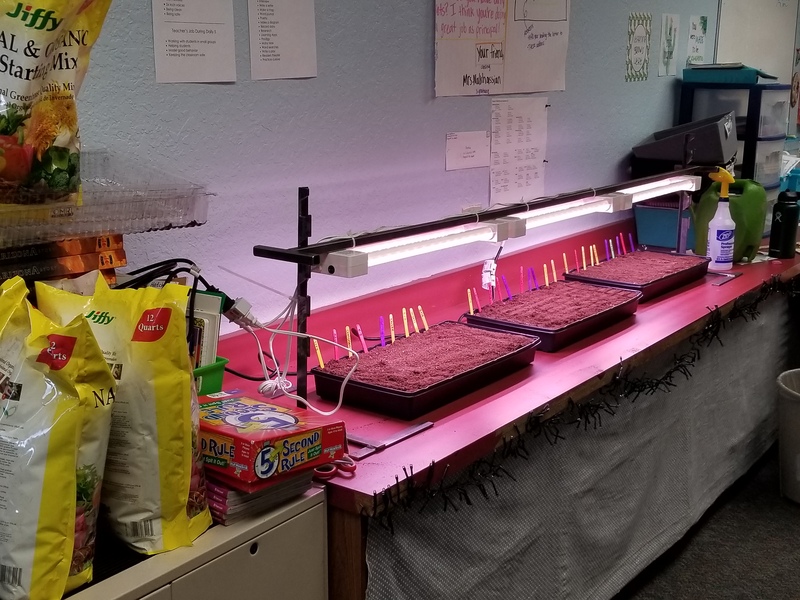 This month we had the pleasure of helping the 4th grade class in planting 150 seed trays and donated 3 vegetation grow lights. 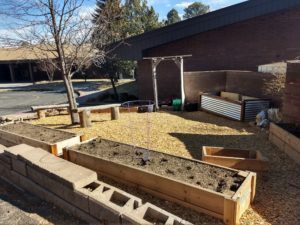 During this time we were able to explain different methods of gardening, stages of plant growth and harvesting. 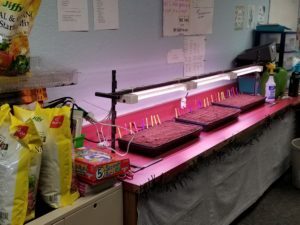 The class was very well behaved and showed a great interest in gardening. 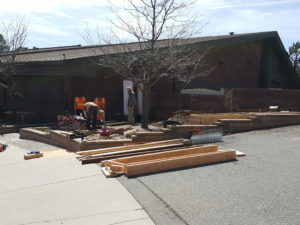 This year our goals are to install a drip irrigation system, build more permanent garden beds and dedicate an area for a Milkweed garden as a Monarch way station.